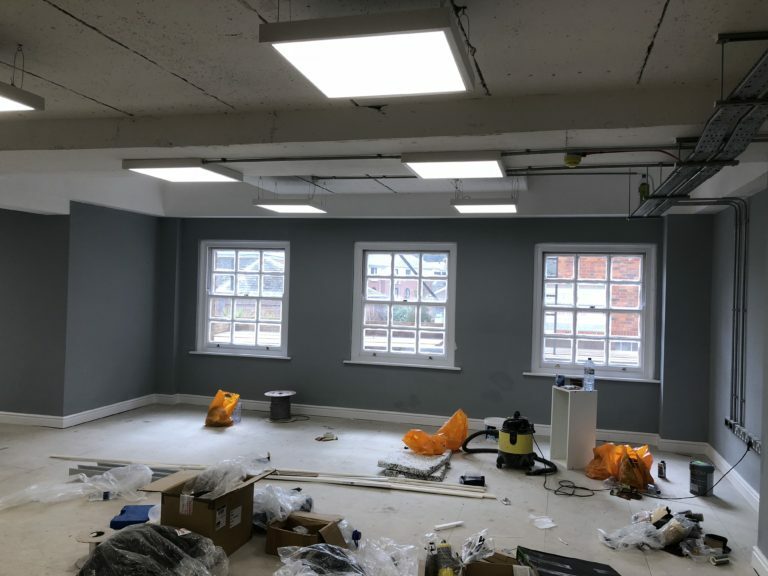 DMP have been acting as Contract Administrator on behalf of a landlord, overseeing the refurbishment of a former restaurant to provide much needed office accommodation in Tunbridge Wells. The Grade II listed property situated in the heart of the Pantiles which is a vibrant leisure destination. 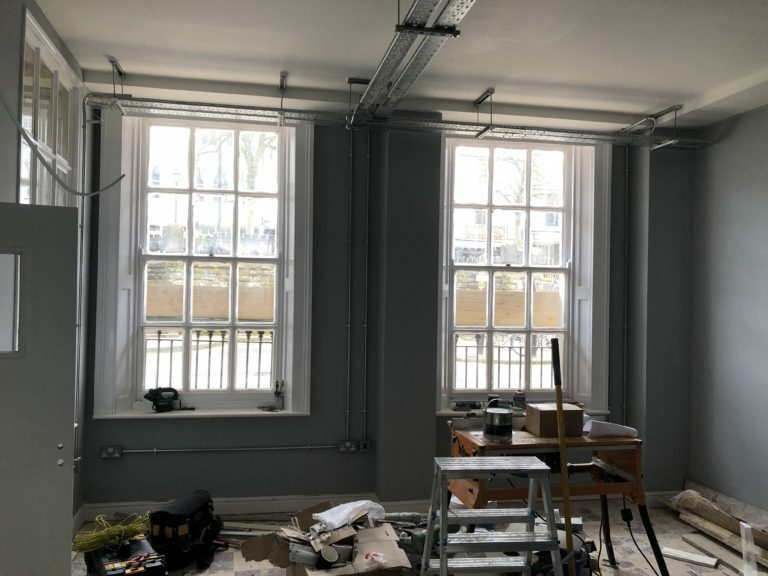 In addition to the numerous bars and restaurants in the area the Pantiles also provides a variety of office accommodation. Following on from DMP preparing the planning drawings and obtaining successful change of use/listed building consent with the clients Planning Consultant in early 2017, we had developed a specification of works with the client positively securing a pre-letting of the 5,000 sq.ft office space to a local support of promotional commercial merchandise. 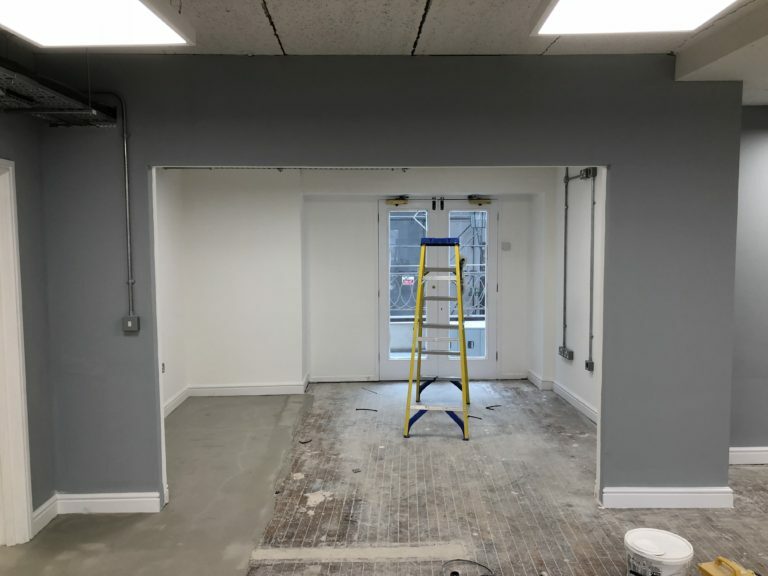 DMP have been monitoring the fit out of works during the 20 week programme from late autumn 2017 with a view to handover of the keys to the new tenant in early May. 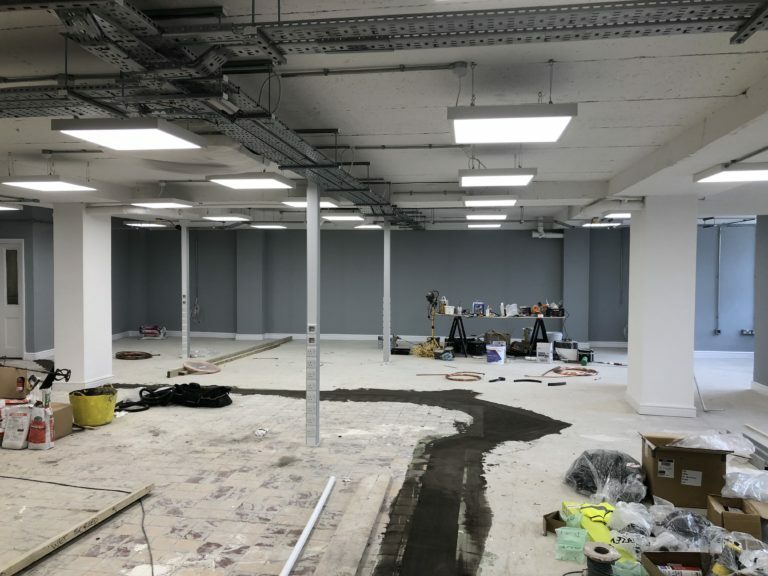 Works have involved reconfiguration of lower ground, ground and first floor with introduction of new partitions/glazed screens, air conditioning throughout, LED lighting and new power/data provisions.